A few days ago a signed on to my Youtube account and found a recommendation for a documentary called Getting to Dylan which was done at the time of the filming of Hearts of Fire. 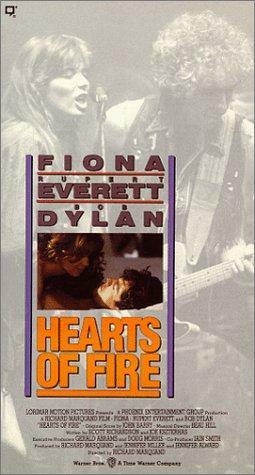 In my opinion this film was one of the worst things that Dylan ever did. It was so bad that to save money it was never released to theaters. I did rent the VHS from Blockbuster video in the late 1980s and agree that it stunk. Even the Beatles failed with the Magical Mystery tour as it presented good music in a bad film. It is very rare when Dylan gives an interview, but there he speaks at length in Getting to Dylan. I would recommend it to diehard Dylan fans.